Study the Bible. Read it daily Back to Back to Back to Back (and cover to cover too!). The Muslims do not want people to know what is in it because it reveals the truth about them. Study it now, Under Sharia Law this will be outlawed. Pray that God will Show You the Truth in the Bible. This is what Muslims are most afraid of. Note: Anyone can do this, even Atheists! You do not need to change religions, or have any religion at all. It should be noticed that most Muslims who study the Bible, become better enlightened in their life. Pray that your country opposes Sharia Law in any form. Praying is just talking with God, it takes no training to do. 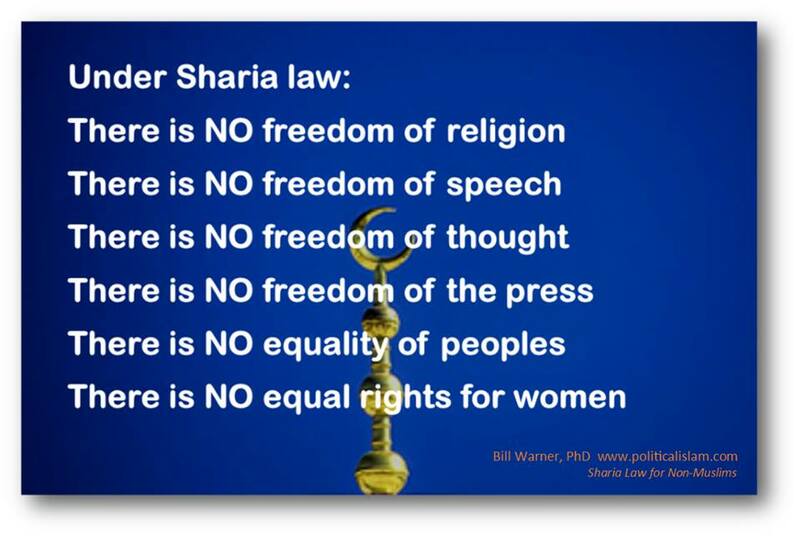 Take action to have Sharia Law Outlawed!